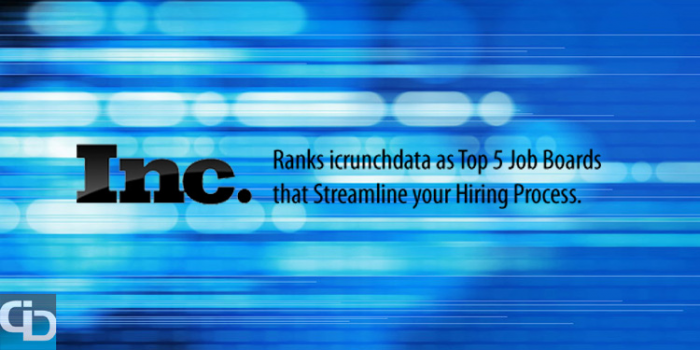 icrunchdata has been ranked on the Inc. Magazine Top 5 Job Boards that are streamlining the hiring process by providing companies a targeted focus into their respective talent communities. Companies are moving to narrower recruiting strategies, away from general job boards, when recruiting for hard-to-find professionals with specific skill sets. icrunchdata is recognized as the best job search site to find jobs in big data, data science, cloud, software engineering and analytics. These areas are expected to generate over 4 million jobs by 2015. The icrunchdata brand has continued to evolve to better serve the big data community with the introduction of icrunchdata news with a team of global contributors, the Big Data Jobs Index with the latest industry job statistics and icrunchdata exchange for collaboration in big data, analytics and technology, all released in 2013.